The easy solution to moving just one or two bulky items is to engage Quick and Easy Removalists Sydney to help you. Sydney. Use Quick and Easy Removalists Sydney to Grab a Bargain. Do you want to buy some furniture or other large item on eBay, Gumtree etc but can’t because you don’t have a van or a Ute? With Quick and Easy Removalists Sydney this is now something that you can do. Quick and Easy Removalists Sydney can deliver your internet bargains at a low cost. The price of furniture on Gumtree in particular is really low and there are great bargains to be obtained. We believe the major reason people are able to get such fantastic furniture and large item buys is that most people don?t have the ability to pick-up the items. Nor have not thought about or know about how quick, easy and affordable it can be to use our services to deliver the items to you. If the item you purchased is local, the move could even be done in half an hour a total cost of $25 and you will have a professional mover to help you carry the item too. If it takes a little longer, even for an hour the total cost is only $50 for the van and an experienced, strong and capable furniture removalist to help you load and unload the item. If you are selling bulky items on eBay, Gumtree or by other means, you can make your item much more attractive to buyers by offering them delivery. 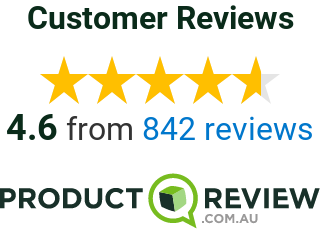 You would need to build into the sale price the cost of hiring Quick and Easy Removalists Sydney to do the delivery for you. Given the low cost of our service it should make your sale item really popular and appealing to a wider market. You could also list your item for a fixed price for the customer to pick-up and a second price that includes the delivery fee. Either way you will be increasing the number of people that are likely to want to buy your goods. This could really help you get a better price using the auction method offered by eBay. Maybe your son/daughter is moving out of home and there are several items of furniture that they need to take with them. Again Quick and Easy Removalists Sydney will provide this service for you at a very low rate. It could also be that a friend has just had a baby and you have a nursery of goods that you want to give to her. Instead of doing a number of trips and dismantling and reassembling items (such as the cot) why not instead save yourself a great deal of time and stress and let us move the goods for you at a highly competitive rate. Most Ute hire businesses require that you hire the Ute for a minimum of two or more hours. That means that if you are moving an item only a few kilometres from you home you are going to have to pay for an hour or more than what you actually need the Ute for. Not only can hiring a Ute more expensive but there is no-one to help you with the lifting and moving of furniture or other large items. Also the logistics involved in hiring a Ute make it really just too hard. You have the hassle of picking up and retuning the Ute. This means a family member or friend would have to drive to the Ute depot (usually not located nearby), drop you off and then drive to the Ute depot again later in the day so as to bring you home once you have returned the Ute. This is an awful lot of bother and time. With Quick and Easy it is just one phone call and the goods will delivered to you. You won?t need to pick-up and carry the item all by yourself as you will have a professional mover to help you. We have an entire fleet of smaller vehicles with one removalist to assist you move your single piece of furniture or small collection across town with expert, professional handling, timing and service. Take advantage of eBay and Gumtree bargains and use Quick & Easy Removalists Sydney to transport your great buy. Please give us a call on (02) 8880 5124 and we can schedule a van and one or more removalists to help you with you bulky item(s) relocation.